The deadline to nominate for the 2019 Division of Distance Learning Award is Monday, April 15, 2019 . More information about each award, evaluation criteria, and how to submit can be found on the AECT website . For questions regarding the DDL awards, please contact the Division’s Award Manager, Larisa Olesova. AECT STC Professional Development Webinar: “Translating Theory to Practice: Systems Thinking in Instructional Design,” Wednesday, April 24, from 2:00 pm to 3:00 pm EST. The richness and depth that theory brings can add dimension and vibrancy to practice. During this webinar, the framework of systems thinking will be introduced for its potential to ensure context, connectivity, and shared direction for designing systemic change. Three systems thinking principles will be defined, discussed, and applied to higher education, public sector, and private sector organizations. Please come join this interactive webinar presented by Sheila Murphy, PhD, from Arizona State University, and Tracey Regenold, doctoral student at Old Dominion University. The speakers specialize in designing and delivering professional development programs for public administrators. Their professional development programs apply systems thinking to guide the analysis of situations and the integration of approaches that respond to the need for purposeful change. Please register for the webinar here. The FedEx Institute of Technology and the University of Memphis are pleased to welcome the International Council for Educational Media to Memphis for the 2019 Conference – September 18-21 in Memphis, Tennessee. The 2019 theme is “Emerging Innovations in Educational Media.” The call for proposals deadline is April 30th. Additional information can be found here. EITT2019 will be held on October 27-31, 2019, in Biloxi, Mississippi. Call for proposal is due onMay 1st, 2019. Our accepted proposals will have the opportunity of publishing in IEEE Conference Proceeding s. All scholars and researchers around the world are invited to present at the convention to share your expertise and innovative practices with your peers, professional practitioners, and researchers from various disciplines. We are looking forward to seeing you at the beautiful Mexican Gulf Coast! Remember to submit your proposal at EasyChair by May 1st, 2019. STC AWARDS NOMINATIONS ARE OPEN! Nominate members for their distinguished work or a Systems Thinking & Change Award! You may nominate yourself or others in FIVE categories. Nominations in multiple categories are acceptable, and the closing date for all submissions is Monday, May 20th, 2019. 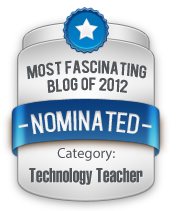 Please click here to submit your nominations today . Eligible applicants and interested sponsors may review program details and application requirements at aect.org/internprogram . Three online sessions will provide information about the 2019 AECT Leadership Development Internship Program. Specific details about the application materials, process, and deadlines will be reviewed. Registration is required . The deadline for application submission to the internship program is a firm 11:59 PM Central Time (UTC-6) onJune 3, 2019 . Questions regarding the AECT Leadership Development Internship Program can be directed to the Leadership Internship Program Coordinator, Megan C. Murtaugh, aect-intern-chair@aect.org. AECT’s Graduate Student Assembly (GSA) has news to share! Learn about their on-going projects, top 10 highlights for graduate students at AECT 2019, the new FSU graduate program, and GSA member accomplishments (publications, conference presentations, and awards). You’ll find the newsletter here. The Division of Distance Learning Board Members are happy to share the DDL 2019 Bi-Annual Spring Newsletter with you. 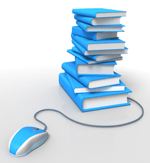 It includes notes from the DDL President, AECT 2019 Highlights, information about the 2019 DDL Awards, updates from the AECT Board of Directors, up & coming for the DDL, member spotlights – publications, calls for publication and more. Please see our 2019 Spring Newsletter here. Combining the exemplar processes associated with a research-based doctoral degree in instructional design and entrepreneurial thinking and a scholarly approach to an M.F.A. in art and design, successful candidates will, through a collaborative studio experience, first identify emerging issues and problems in learning, then identify and create solutions for those problems, and finally, through a unique educational, design-based dissertation process, validate those solutions. The program provides opportunities for candidates to earn their degrees in a face-to-face, hybrid/blended, and/or a fully online modality. Coursework includes classes in critical and design thinking, design and development tools, and instructional program analysis, among others. To prepare for multiple career paths candidates can select their cognate and electives from several areas of interest. For additional information contact Robert Kenny, Chair Graduate Division. For candidates with a master’s degree, instructional design is experiencing robust job growth – 6.9 percent nationwide over the next 10 years. USF’s online instructional design courses can help you begin or advance your career in this rapidly growing field and qualify for job opportunities in education, business, the government and the military. The program features 100 percent online courses, and the GRE is not required for most students. For additional information, click here or contact our Admissions Advisor, Alexandria Lindsay. As we face mounting internal and external pressures to prove value, the need for change increases. Transitioning from one tool or strategy to something different can be challenging. Finding practical tools and strategies to manage transition can be challenging. This webinar by Laura Gray from University of the West Indies will describe research-based strategies to lead through transition and provide real examples from her work in online education. Register here. STC will be hosting a virtual book club this spring! Pick up a copy of Switch: How to Change Things When Change is Hard by Chip and Dan Heath and join us! You can order an inexpensive copy on Amazon (direct link: https://tinyurl.com/ybvx55xn ). The book is also available in Kindle format. Meetings will take place through Zoom (invitation to be sent at a later date). Please contact Samantha Blevins for additional information at sjblevin.vt@gmail.com . Click here to sign up (direct link: https://goo.gl/forms/vf5qmXgxfio8uXjD3 ). Dates/Times are as follows: April 11, 2018, 3:00-4:00 pm EST. For this special issue we are interested in presenting current research in distance education involving innovative methods to create, implement and research authentic learning experiences including experiential learning. Submissions should emphasize innovative practices and/or methods of authentic learning experiences via distance education. Articles are sought which will provide readers with practical and applicable ideas, strategies and techniques on topics related to authentic learning experiences. For additional information, please view the Special Issue flier. Proposals are due April 22, 2019. 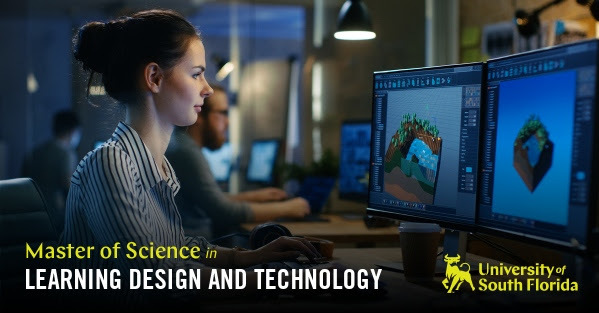 Learn the art and science of instructional design and qualify for emerging job opportunities in a high-growth field with USF’s new MS in Learning Design and Technology. This fully online, 33-credit-hour program can be completed on a full- or part-time basis in as few as two years. Prepare for multiple career paths in education, business or government. Four concentrations allow you to tailor the program to your interests, or you can select customized electives. For additional information, click here or contact our Admissions Advisor, Alexandria Lindsay. A newsletter from Monday’s inbox that I am only posting now due to the DLAC entries. Applications for the 2019 AECT Internships open on Monday, April 1, 2019. Eligible applicants and interested sponsors may review program details and application requirements ataect.org/internprogram . Three online sessions will provide information about the 2019 AECT Leadership Development Internship Program. Specific details about the application materials, process, and deadlines will be reviewed. Registration is required . The deadline for application submission to the internship program is a firm 11:59 PM Central Time (UTC-6) on June 3, 2019. Questions regarding the AECT Leadership Development Internship Program can be directed to the Leadership Internship Program Coordinator, Megan C. Murtaugh, aect-intern-chair@aect.org. The CLT Awards Committee would like your help to select recipients for the CLT Awards. Please contact Holly Marshburn with your interest and any questions. Are you seeking the advanced skills needed to pursue emerging instructional design job opportunities in education, business or the military? 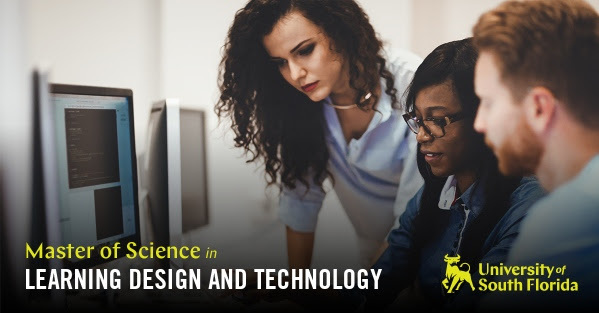 USF’s online master’s in Learning Design and Technology provides the intensive training and credentials to qualify for these new positions in a convenient program designed for working professionals. You can graduate in as few as two years, and the GRE is not required for most students. Apply now for Fall 2019 admission! AECT’s Graduate Student Assembly invites you to join us on March 27th, 1:00 PM EST for a webinar on “How to be an Effective and Efficient Academic Writer.” Learn from four prolific academic writers as they discuss strategies, such as, organizing ideas and references, building upon earlier writing projects, developing publishable articles, understanding authorship issues in regards to order and responsibility, and managing writing time. Our special guest panelists are: Dr. Ali Carr-Chellman, Dean and Professor from University of Idaho, Dr. Jeffrey Carpenter, Associate Professor from Elon University, Dr. Tian Luo, Assistant Professor from Old Dominion University, Dr. Tyler Hollett, Assistant Professor from Penn State University and moderator Bret Staudt Willet. To register for the webinar, please visit the registration page. Award information, eligibility requirements, guidelines and submission procedures for the 2019 AECT Young Scholar Competition are now available on AECT’s website. Deadline is March 30, 2019. Click here to view other AECT and Division Awards. The ICEM 2019 Conference will take place at the University of Memphis, September 18-21, 2019. ICEM is one of the oldest associations in the field, established by European Ministries of Education in 1950, with strong links to UNESCO. The Call for Proposals is now open, submission deadline is March 31, 2019 . This year, ICEM will launch their first graduate students mentoring program at the convention. The call for application will be announced later spring. To facilitate medical and healthcare education (including the preparation and professional development of physicians, nurses, professional staff, and administrators), educators and instructional designers must gain a critical understanding of the contemporary issues facing a wide range of professionals in a variety of schools, hospitals, clinics, and other health-related facilities. This special issue of the Journal of Applied Instructional Design (JAID) will focus on research and the development of innovative training and educational programs that apply systematic instructional design tools and techniques to create engaging, effective, and efficient learning experiences. Additional details can be found here. Do you want the freedom to tailor your education – not a one-size-fits-all master’s program? USF’s online MS in Learning Design and Technology allows you to choose customized electives or one of four distinct concentrations: E-Learning Design and Development, Cybersecurity Education, Big Data and Learning Analytics, and Game-Based Learning and Analytics. Best of all, the GRE is not required for most students. Apply now for Fall 2019 admission. A newsletter from earlier today that I am posting now to get it out before the SITE 2019 content starts tomorrow. For candidates with a master’s degree, instructional design is experiencing robust job growth – 6.9 percent nationwide over the next 10 years. USF’s online instructional design courses can help you begin or advance your career in this rapidly growing field and qualify for job opportunities in education, business, the government and the military. The program features 100 percent online courses, and the GRE is not required for most students. Apply now for Fall 2019 admission!